So i know there is an ignition specific forum but i feel that this page is more frequently visited. I have recently upgraded my 240z to tripple mikunis and also i am building a second motor with a stroker crank and other goodies. The one area i am not too sure of is ignition. Currently my car is equipped with the ZX distributor and it seems to work well enough but with my new motor i presume that i would need to recurve the dizzy? To be honest I'm not sure how to even specify what i need there. 2. LS Coils? - individual coil setup but what can i use to control it? expensive after all set and done? VW wasted spark coils are cheaper than LS coils, works the same with being logic coils. Probably lees oomph but not sure if it matters on NA builds, still 100x better than Zx dissy. I assume your new engine will be carbs? I like the megajolt option. I have never used Megajolt but have some of their other stuff (Racecapture pro) and I am happy. Support is pretty good and it seems to be high quality with expensive high quality components and designs. I found there software being a little behind their HW, it still works but you can tell Steve Jobs didn't design it. What CoP coils are these? I find it annoying that there aren't any cheaper trigger wheel brackets. $200 bucks is a lot (I am sure it has to do with low volume, but still). Provides a full surface for tuning. this looks promising and cheap.. I guess that this will not give you the accuracy of a trigger wheel. At higher RPM the dizzy is a bit inaccurate, at least so I heard. Never have any hands one experience with dizzy and high RPMs. Take a timing light when you run at 5000 RPM, it jumps all over the place. Not sure if that is the timing light being in accurate. But probably much better than just the dizzy. Do you plan on dyno tune it? Mine is a track car so it lives in high RPM and high heat, so good timing control is important. For a street car with less high RPM usage it might matterless. What RPMs do you see? I wouldn't define my car as a track car that stays at high engine speeds for extended periods of time. I do want to do some track days but mainly it's going to be a street car. The timing light jumping could just be due to the induction clamp signal, distributors have been in use for a long time even on hondas that revved beyond 8k rpm so i wouldn't think it's an issue. My pops pulled the trigger on one of these for his 66 Fairlane with a 390. I will likely end up setting it up and ultimately tune it for him. Pending my experience and his results I will likely purchase one for my soon to be force fed, Mikuni bike carb powered L20B that is in my daily driver. The bike carb conversion has eliminated the ported vacuum so I’m currently running without vacuum advance. The CB Black Box has proven to be the most economical solution to digital timing control that I could find. As far as the timing variation is concerned, I will measure it on my dads car when it’s installed. I haven’t measured but I believe the V8 is going to be the most limited by the amount of timing advance I can dial in before arcing across to another post. I will say though, CBPerformance is currently powering high horsepower(300hp+) NA air cooled engines with this setup so it should do all that we need for a relatively mild 390 and little ole’ L20B. Hi Lowrider, I will be looking for your results with the CB Performance Black Box. I got one sent downunder to Australia to use on a 240z. The original dizzy was stuffed so I found a good points Hitachi dizzy and locked it up internally and disconnected the broken vacuum diaphragm. The points were removed and replaced with a Hot Spark ignition module. (Similar to Pertronic). I have stalled on the project, so it will be a while before I can complete my setup. The price was good , and I liked the flexibility of the advance curve plus the use of vacuum advance all electronically. Maybe replace the stock coil with a msd unit? I think he is talking about the distributor rather than the coil. I've got a megajolt setup on mine and I love it a lot! It has been on my L28 for 5 years without any flows. Besides benefit of tuning timing for HP, with TPS or MAP control, you will be able to get proper timing at idle and low rpm. Results would be better driveability/smoothness, better low end torque, lower fuel consumption in addition to higher torque and HP. @Lazeum Nicely executed! great looking car as well, I was wondering why you implemented the TPS? The latest megajolt comes with a MAP sensor and that should be able to give you enough info. @theczechone, I would be curious if this was using the stock inductive type dizzy or a points type. If I remember correctly (I don't want to spread misinformation) the 260Z dizzy had two inductive pickups, if that were the case I could see where that might cause problems. I would be interested in what you find digging deeper. @lowrider I had similar thoughts, but if he had tried 3 or 4 different distributors I would assume he tried different types as well. i think my ZX dizzy should work well. I had also asked if he considered using this with an optical trigger such as the Crane/FAST xr700 but no response yet. Will update as i get more info. Did you make that mount? Looks very nice, did you cad something and then used someones CNC machione? TPS was easier to setup . With Map I would have been afraid to have pulses issue without tapping all runners together for proper signal. MAP would indeed provide a better resolution and better control but it is not so much required afterall. Hey guys where are we at on this black box? If there's a compatibility issue with the OE distributor and it's compatible with Pertronix; wouldn't it be easy and inexpensive to just drop one of their systems in the stock distributor? 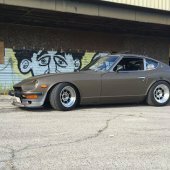 Pertronix Ignitor 1 and 2 have a solid reputation and their use has been well documented in the Datsun/Nissan community. I would be seriously interested in a modern and adjustable ignition setup that looks totally stock and cost under $300 all in. Also on the topic of distributor spark break-up, I had a 4th gen prelude si throughout high school and college which is a distributor type ignition and that thing screamed on the top end. Take it for what it's worth. Thanks guys. Good find. I had no more responses from the vendor. I was thinking about using an optical pick up in the distributor too. Perhaps someone will just need to bite the bullet and give it a shot. I am still building my engine so i'm not ready. Electronic ignition is not about getting proper timing at max rpm, it is also how you control timing that matters. Any good "old style" dizzy can do that. But can you easily get 16° of advance at idle, 36° at high load/high rpm and 50° at low load/medium rpm? You can only achieve this with an ECU and good sensors. People say you cannot run Triples with vaccum advance, it is a shame because we're loosing driveability big time without it. Read document attached to convince/educate yourself if you'd like, it is full of good info. Pertronix or other systems going into stock dizzy without any kind of adjustments are a good upgrade over stock but nothing compared to full timing control. @Ironfoot In your 4G Prelude, you had a dizzy but timing wasn't controlled inside dizzy. It was already ECU managed providing proper timing.